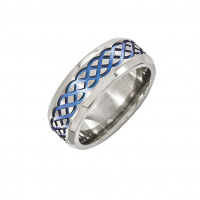 A very unique pattern, was used in the making of this band. 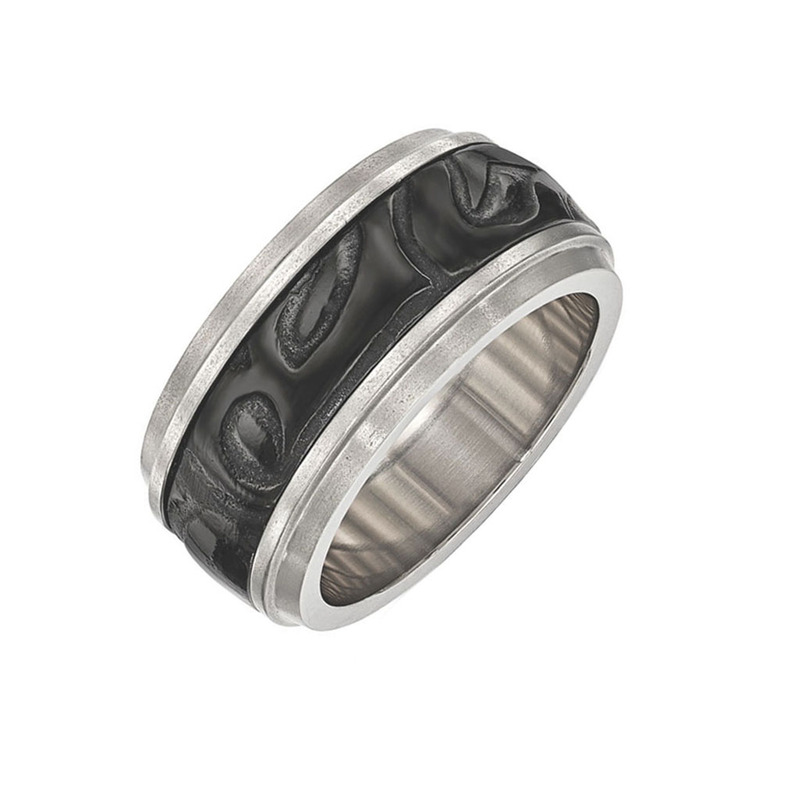 The black titanium design is set in the center of the band and is slightly sunken into the band. 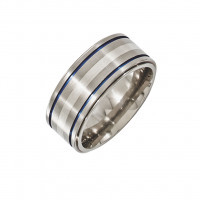 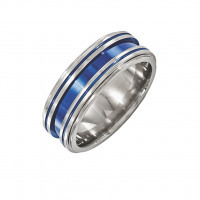 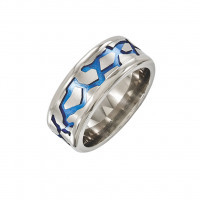 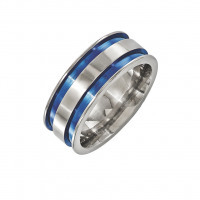 The main band is a domed titanium band, with raised ridges on the outside. 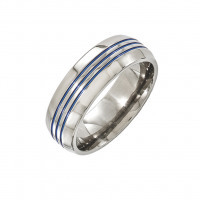 This band is made to order in an 11mm wide band. 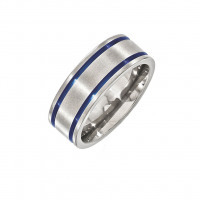 Please use our filter to find your perfect combination or you can contact us if you can't find what you're looking for.